What’s more refreshing than an ice cold drink on a warm summer’s day? Pretty much anything if you’ve got sensitive teeth. 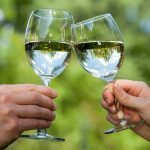 Sensitivity related tooth pain can be jarring for even the toughest among us, and if you’ve got sensitive teeth, it’s not just cold beverages you need to worry about. Hot ones can be equally as painful. Not to mention sweet foods. A 2013 study published in the Journal of the American Dental Association (JADA) found that approximately 1 out of every 8 adults suffers with tooth sensitivity issues. Overly sensitive teeth is a common everyday issue that most people experience at one time or another. 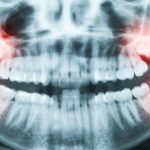 It might not be the most painful tooth condition, but the intermittent or chronic pain that comes with sensitive teeth can be tough to live with. The good news is there are a number of treatments available for tooth sensitivity issues. Some more expensive than others. As with most things, the best form of treatment is prevention. To help you prevent tooth sensitivity issues, we’ve compiled a list of some of the top causes. Your high-acidic diet could be the source of your tooth sensitivity issues. 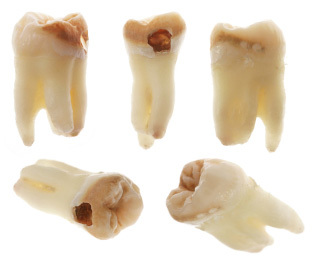 Tooth enamel protects the teeth, but it wears naturally as we age. (It can also be worn down by a number of other things including overly aggressive tooth brushing and dental disease.) Once enamel is stripped away, the teeth are more susceptible to dental problems, including sensitivity. 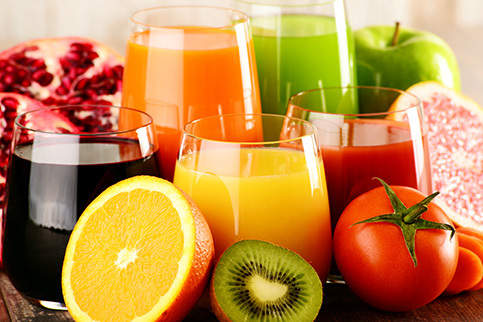 If you have worn enamel and a highly acidic diet that includes things like fruit juice, tomato sauce, vinegar, etc. you might experience extreme sensitivity issues. 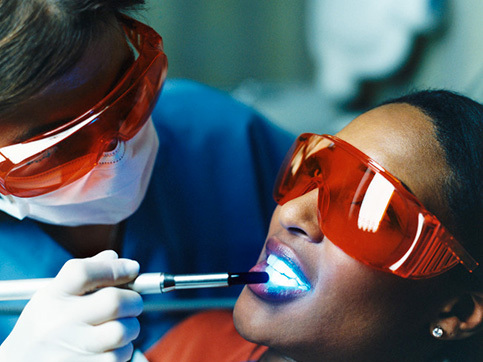 Solution: Visit your dentist the ADA-recommended two times a year to make sure that your teeth are in optimal health. You can also use certain hygiene products that help to support tooth enamel longevity. If you are experiencing diet-related sensitivity issues, consider changing your diet or minimizing the types of food that are causing you pain. Is it possible that good oral hygiene practices can cause tooth sensitivity? Yes and no. Many people think that the more they brush their teeth, the longer the brush their teeth and the harder they brush their teeth, the better they’re doing at maintaining optimal oral hygiene. 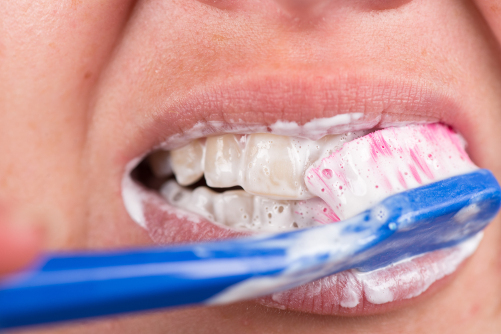 Over-brushing your teeth can actually have a detrimental effect on oral hygiene. It can strip away the protective outer layer of the teeth (enamel) and cause gum recession, which in turn can lead to tooth sensitivity issues. Solution: Remember, all things in moderation. 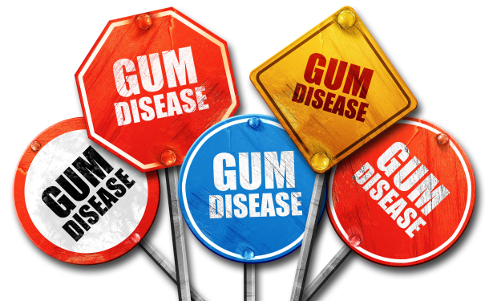 If you brush after every meal, try substituting sugar-free gum instead. You can also invest in an electric toothbrush that lets you know if you’re brushing too hard or for too long. This data can even be shared with your dentist who can evaluate your brushing habits and advise you how to better care for your teeth. Gingivitis and gum disease (periodontitis) are inflammatory conditions that attack the supportive tissues of the teeth. Poor oral hygiene practices can result in a buildup of plaque. The associated bacteria can cause a number of problems, including gum disease. As the bacteria eats away at the gum tissue, it can cause gingival recession which exposes parts of the tooth that should otherwise be protected. Solution: The first step to correcting tooth sensitivity associated with gum disease is to treat the gum disease. Your dentist will likely recommend a special cleaning called scaling and root planning to get rid of all the built-up plaque and bacteria. Once this has been done, new dental hygiene practices must be adopted in order to prevent recurrence. Depending on the severity of the recession, you may require a soft tissue graft (gingival grafting) to replace the missing gum tissue with healthy donor tissue from another section of the mouth. This is an effective treatment, but it can be pricey. 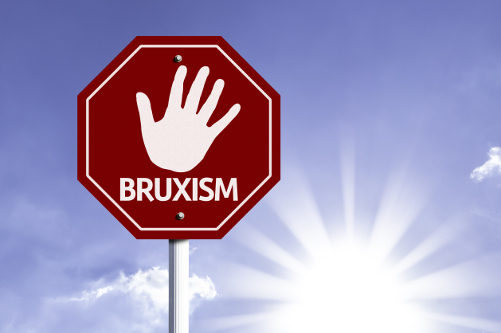 Are you a “bruxer?” Also called tooth grinding, bruxism is a condition marked by the unnatural grinding and clenching of the teeth — typically during sleep. There are a number of causes of teeth grinding, including stress, bite irregularities and sleep disorders. The constant grinding can literally strip the protective enamel from the teeth, exposing dentin and causing tooth sensitivity issues. Solution: There are a variety of treatments available to assist with teeth grinding, each of which depends on the specific cause. Custom-fitted bite plates or mouth guards can help protect your teeth from grinding when you sleep. Orthodontics can help treat bite irregularities, and restorative dental treatments like dental crowns can help replace any teeth that are damaged beyond repair. Check out our Consequences of Teeth Grinding slideshow to learn more. Chips or cracks in the teeth expose sensitive parts of the teeth such as nerves, putting you at risk of extreme tooth sensitivity pain. Chipping or cracking can be caused by a variety of things, most notably some sort of oral trauma. Athletes tend to face an increased risk or oral trauma, especially those in high contact sports like football, hockey, boxing, etc. But even the simplest of things can lead to a chip or fracture in the tooth. 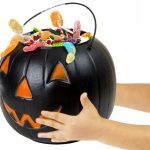 In fact, eating hard candy or biting down hard on a bone is a very common way to cause damage to the teeth. Tooth decay can increase your risk factors for chipping or cracking significantly because it weakens the structure of the tooth. Solution: Treatment depends on the severity of the chip or crack. For minor cases, your dentist might be able to simply smooth and polish the tooth without further restorative care. 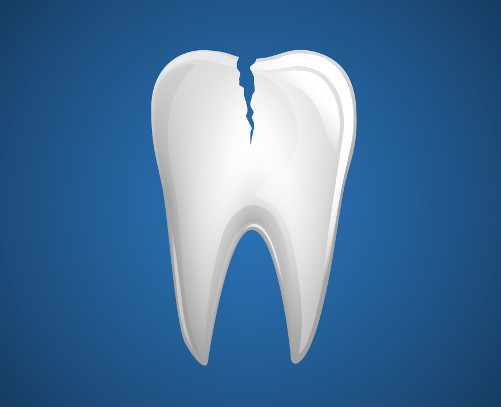 Moderate chips and cracks will require a dental filling or crown to help restore the tooth. And in extreme cases where nerve damage is an issue, a root canal may be required. If you are an athlete, you should absolutely consider the benefits of a mouthguard to help prevent any sort of oral trauma when you compete. Some brands of sports mouthguards actually boast improved performance as an added benefit. Tooth decay is a degenerative dental condition that essentially eats away at your teeth and gingiva. Plaque buildup combines with the bacteria in the mouth to create a dangerous acidic environment that can damage tooth enamel and cause decay. Decay causes cavities which leads to a variety of issues, including overly sensitive teeth. Solution: Mild to moderate decay can be treated with a dental filling. However if the decay has infected the nerve of the tooth, a more invasive root canal procedure will likely be required. If you maintain the ADA-recommended two visits with your dentist each year, you should be able to prevent any potential decay from reaching the point of root canal. Solution: Your dentist will use a desensitizing agent before and likely after in-office teeth whitening to minimize sensitivity concerns. 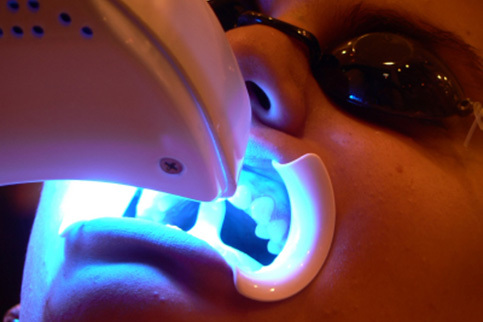 He/she can also recommend at-home whitening solutions that contain desensitizers. If you are considering whitening, make sure to setup a dental visit to have your oral health evaluated first. Tooth sensitivity can be a byproduct of dental treatments such as a root canal or crown placement. After treatment, your dentist will advise you to avoid certain foods and drinks for a period of time as your restoration heals. Solution: Post-treatment sensitivity should subside relatively quickly. If you continue to have sensitivity issues, this may be a sign of an infection or other issues. You should schedule a follow up visit. Check out our tooth sensitivity article to learn more.